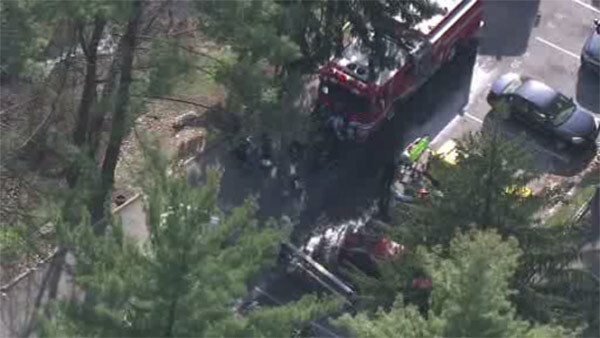 HAVERTOWN, Pa. (WPVI) -- Firefighters in Delaware County are battling a blaze inside of an apartment building. The fire started around 4:30 p.m. Tuesday at the Hollow Run Apartments on the 1900 block of West Chester Pike. So far, there are no injuries reported. The cause has not been determined.